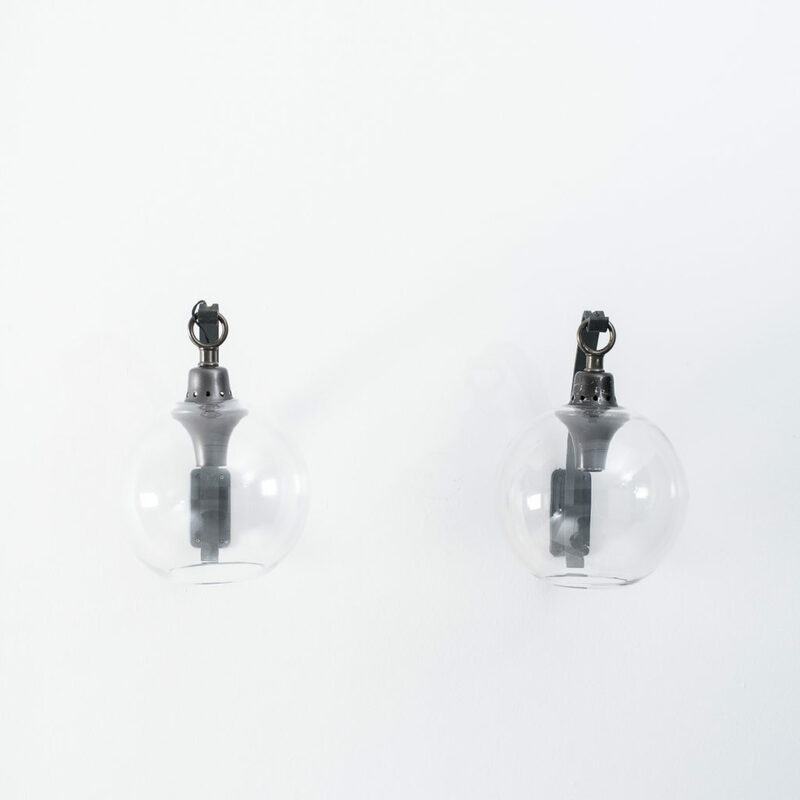 This is a rare pair of wall lights designed by Dominioni, considered to be a leading pioneer in the field of industrial design. 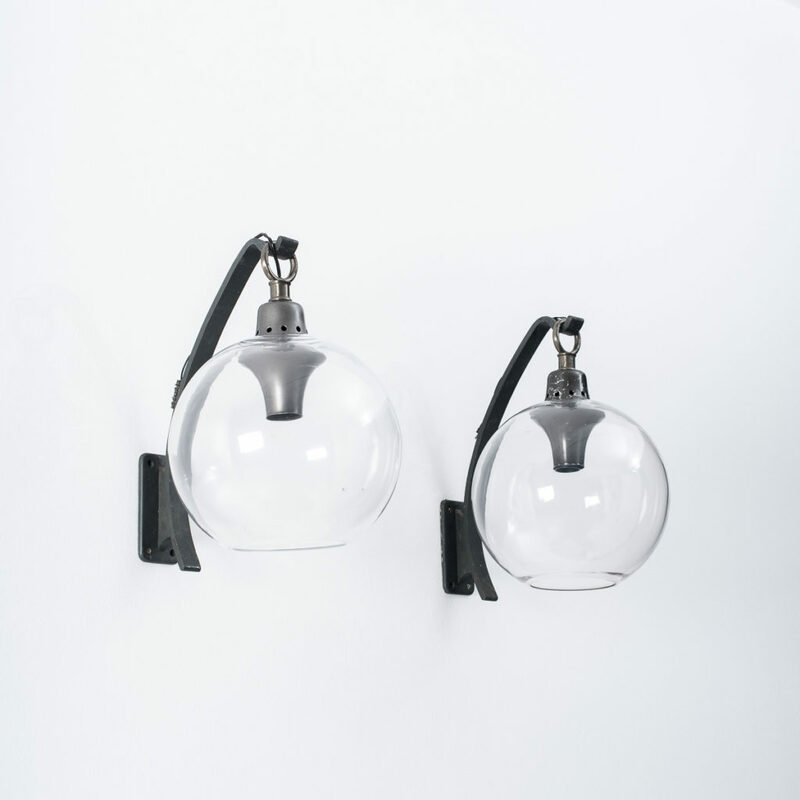 Produced by his own company, Azucena, which was founded in 1947 along with architect Ignazio Gardella. These Boccia lamps have nickel plated bronze wall fixtures and a metallic painted shade holder with transparent glass shade. 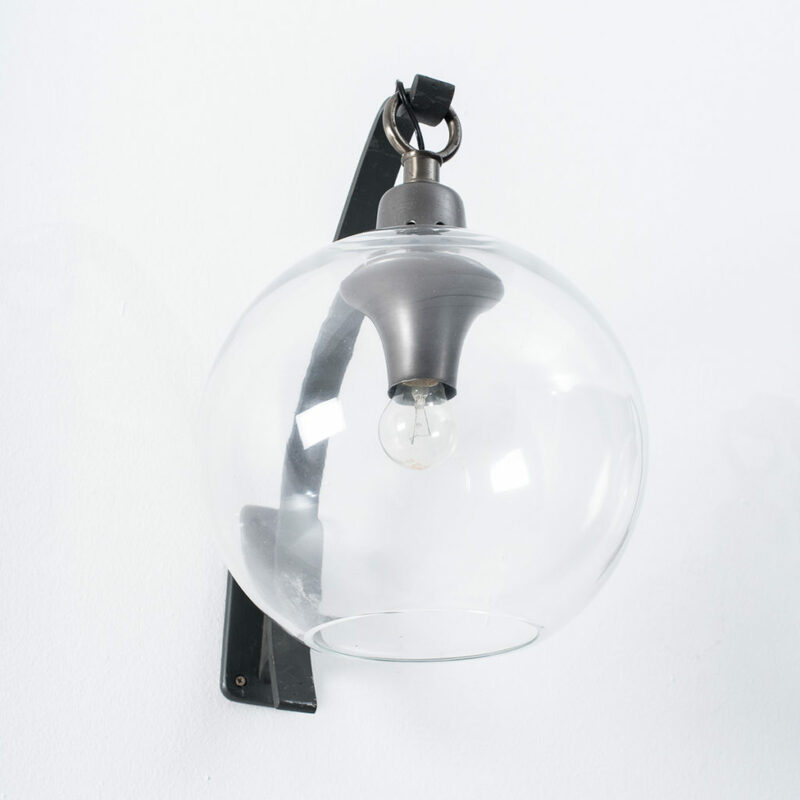 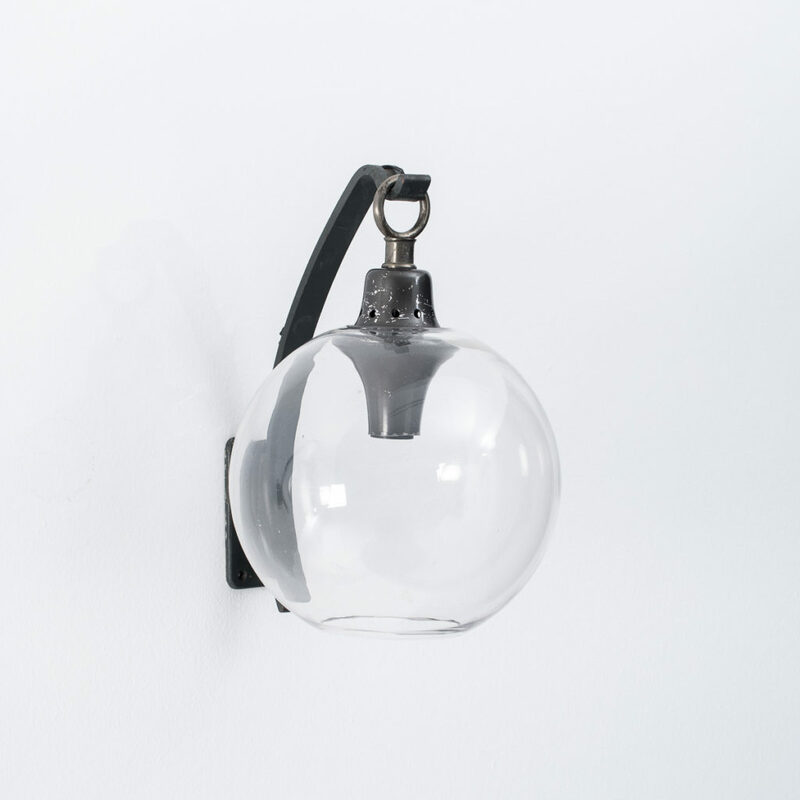 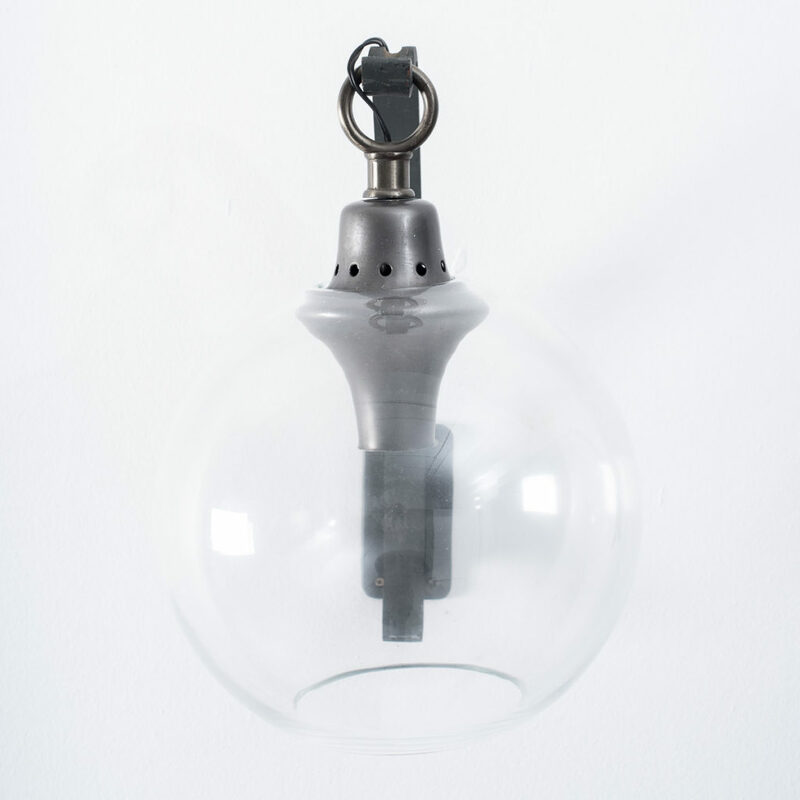 These lamps produce a very nice spherical light when lit and is easy to hang. 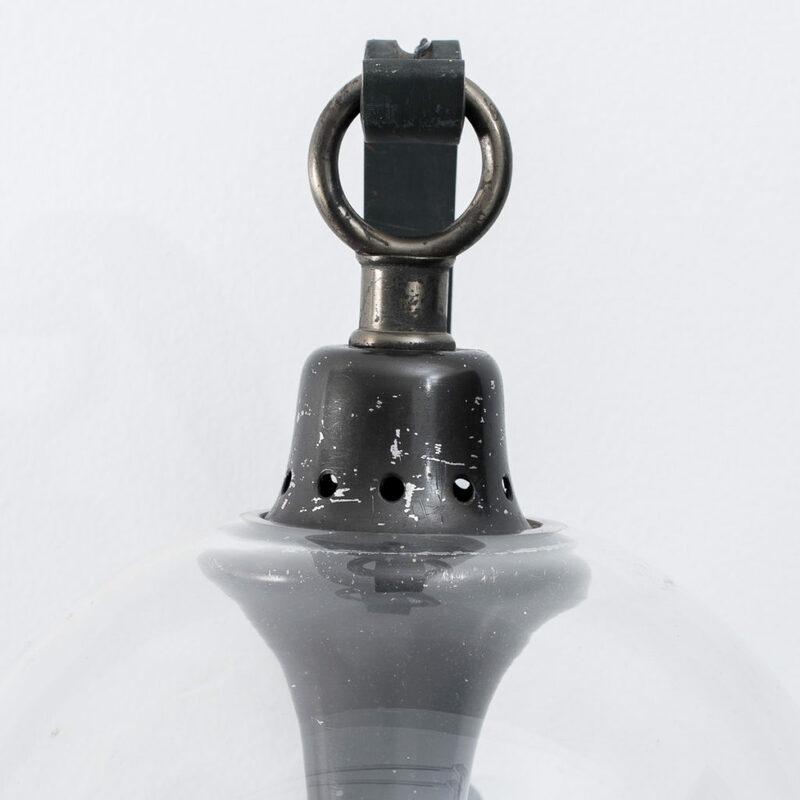 The lamps show some signs of their age but are in good all round vintage condition.